One of the biggest stumbling blocks for refurbishments is finding the appropriate financing. Step by step refurbishments require lower upfront investments meaning that the hurdle posed by financing can be significantly lowered. Nevertheless, even fewer funding programmes are available for gradual refurbishments over the course of several years, making them a challenge worth examining. Read more and download EuroPHit Financial Guidelines or browse other downloadable materials. Step-by-step energy efficiency retrofits require thorough planning and experienced consultation. As a result the initial investment for technical support may be higher for suitable efficiency approaches than standard, moderate efficiency measures. In many cases of single retrofit measures, consultation will not be available, as single measures, for example the replacement of windows, do not require building authority approvals. As a result, the building owner and tradespeople often carry out the work without architects and other experts. This lack of consultation, however, will lead to lock-in effects or compromise other efficiency measures to be performed later. Supporting building owners to pay for good consultancy enables them to successfully plan and perform a retrofit project even over a long period of time. It will further ensure the better knowledge of the financial dimension of future measures as well as the knowledge of energy savings to be obtained, thereby be easier to finance. Finally, districts or even regions can also profit from single buildings, where the development of the decreasing energy consumption can be anticipated reliably according to overall retrofit concepts. In addition, it seems that airtightness and ventilation are still regarded as unfavourable measures in many countries. 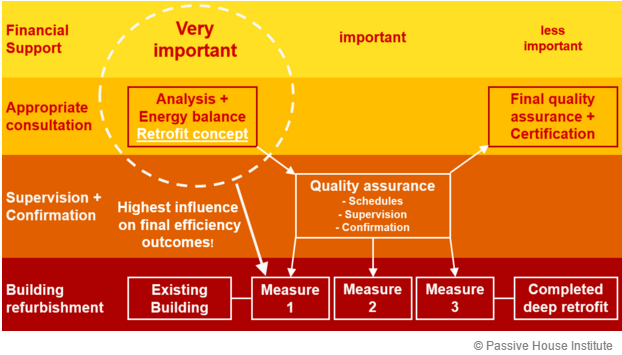 It is thereby suggested to financially support these measures to ensure they take place, in order to support the success and accecptance of the required high efficiency retrofits. 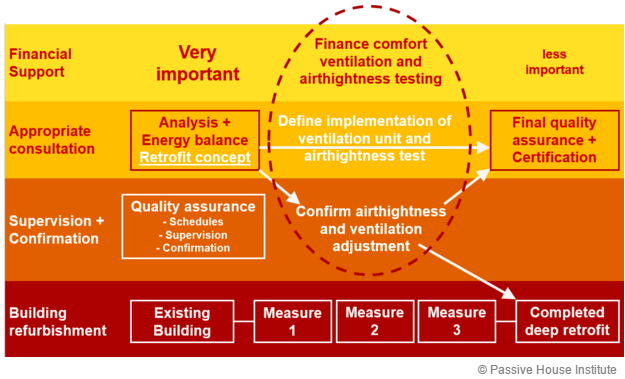 Successfully implemented airtightness will lead to a much more reliable compliance of energy efficiency planning and energy consumption after retrofit completion. The installation of a ventilation system including heat recovery will further reduce the energy demand of the buildings and provide a measurable improvement to the living quality within the buidling, thereby considerably increasing the user satisfaction. 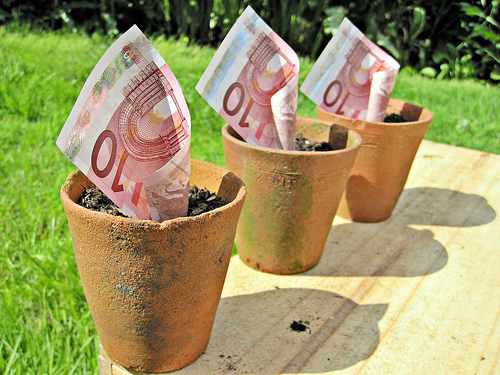 EuroPHit delved into the economics of financing step by step energy retrofits. A major project aim in this field was that of clearly demonstrating the benefit and significance of step by step refurbishments to financing institutes, thereby encouraging them to set up appropriate financing schemes that reflect the reduction in potential running costs for the buildings and improved life cycle benefits. 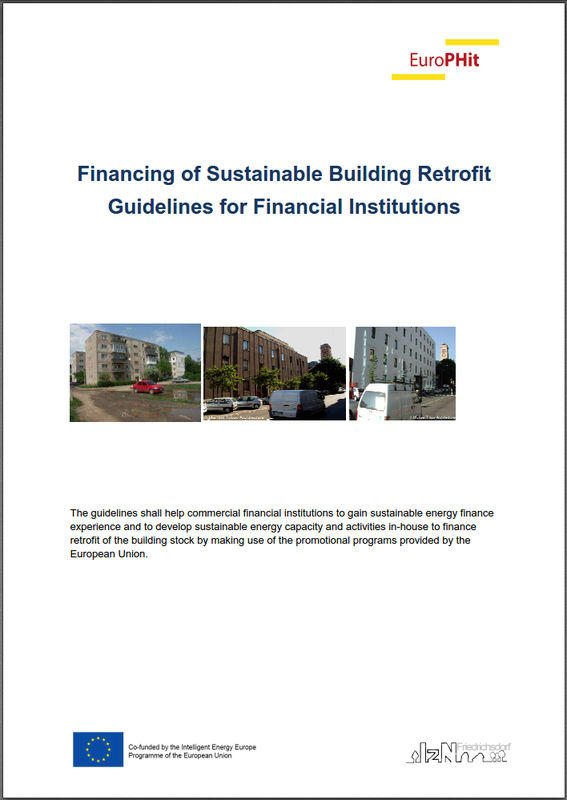 Financing guidelines for energy efficient refurbishment are elaborated based on the results of financial workshops and project research on the value of highly energy efficient refurbishment. The guidelines inform on the relevance of certification and labeling systems, the significance of energy advisors in the process, as well as the benefits of using renewable energies with regard to the building’s value. 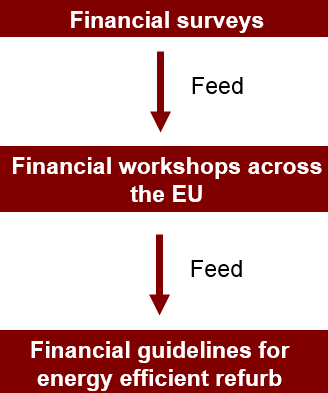 You can download the Final guidelines for Institutions or browse the presentations from the Financial workshops or other EuroPHit materials. The EU's BUILD UP portal contains a database of the financing schemes for investments in energy efficiency and renewable energy measures in buildings with information on financing opportunities for retrofitting at the EU, national and regional levels.